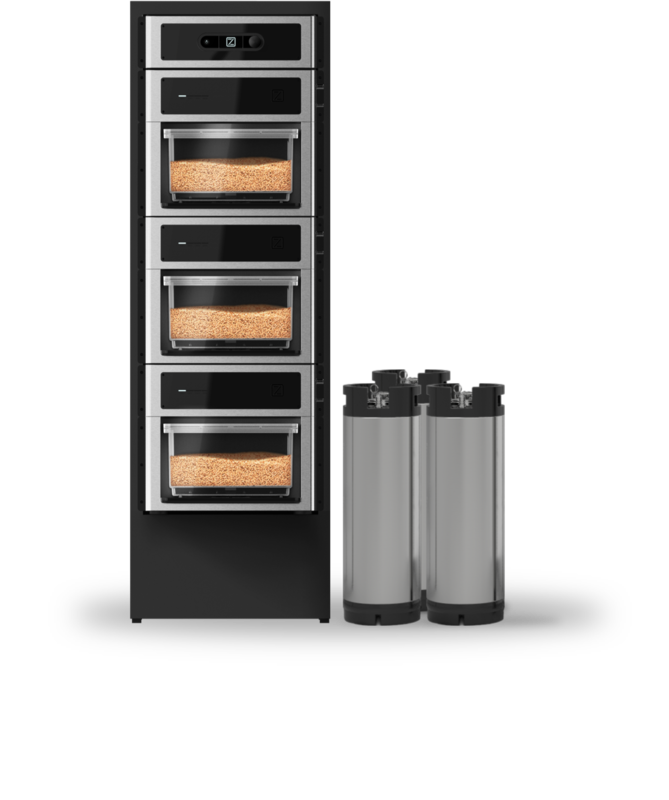 THE WORLD'S FIRST MODULAR BREWING SYSTEM. Brew custom recipes using your own ingredients, and then distribute them as Paks and earn royalties! 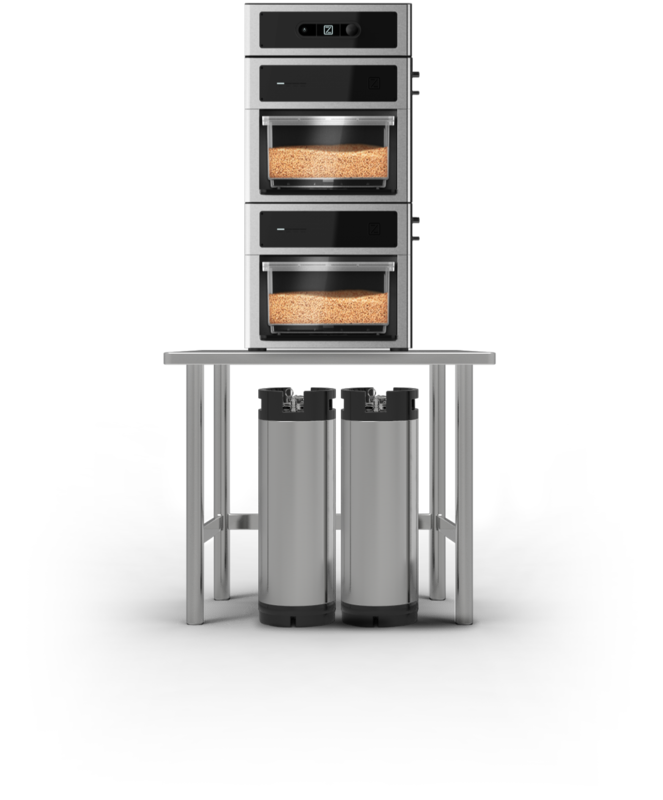 The Z Series can brew the same PicoPaks used by Pico, sourced from over 200 breweries worldwide. New "ZPaks" on BrewMarketplace make it even easier to brew more great beer from around the world! The PicoPak Program allows me to share my beer globally while building my brand. It's healthy for us, and for the whole industry, to be able to reach so many different people that we wouldn't normally. I'm excited to offer several of my popular recipes as PicoPaks. It allows me to give back to the community that has given me so much. 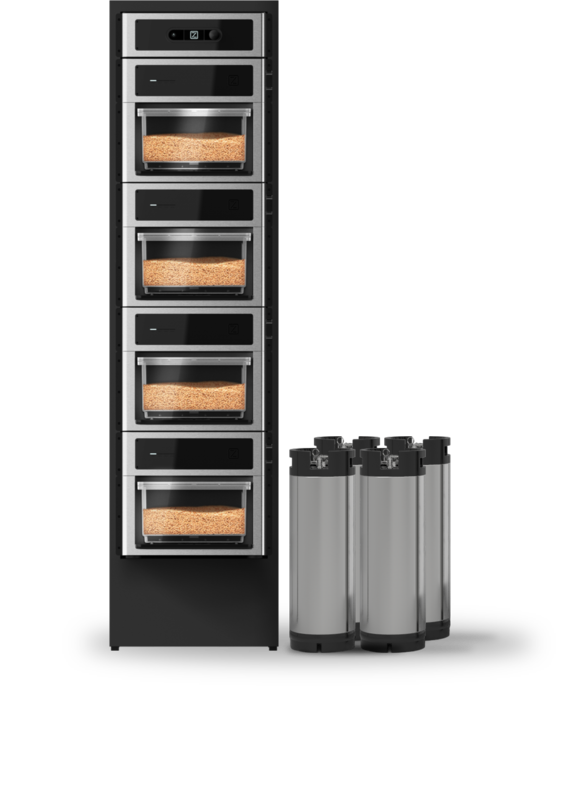 Upgrade your office kegerator with custom-brewed beer, at a fraction of the cost of traditional maintenance. Attract customers and keep them coming back with an ever-changing selection of fresh, house-brewed beer. Brew test batches efficiently and cost effectively and then, scale up your production. The Z is risk free! You can cancel your order up to and until it ships. 17.5" x 17" x 16"
17.5" x 17" x 37"
17.5" x 17" x 53"
17.5" x 17" x 69"
I'm super excited about the Z Series. It has the flexibility to let me brew pilot batches up to 10 gallons with the potential to sell them in my tasting room. In the just-completed 2018 Cincinnati All American Homebrew contest, our entry took first place in the Smoke and Wood category. This stout was brewed on my Zymatic and then aged for 3-months in a Balcones Blue Corn Whiskey barrel. 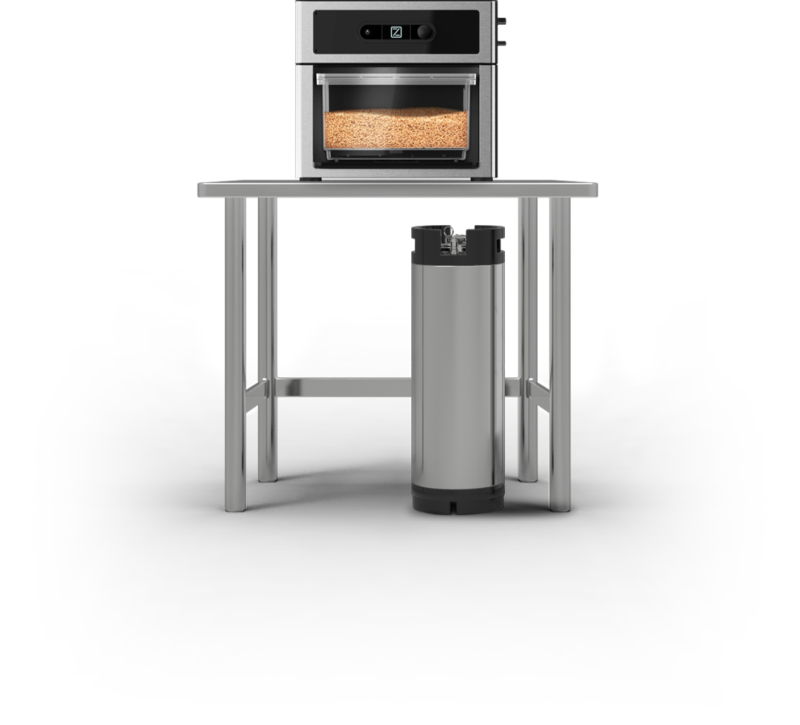 The Zymatic brew batch size is perfect for experimenting with recipes. I love being able to replicate past brews and dial in my recipes so they are exactly how I wanted them. Thank you, PicoBrew team, for your precision gear and great customer service that have allowed me to develop a wonderful passion.